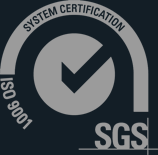 CSG is a full-service supplier in the truest sense of the word. Central States Group is committed to staffing knowledgeable people who understand the unique challenges of all types of markets, from biofuels to power. We know our inventory inside and out.